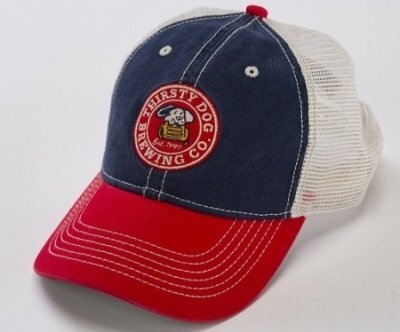 Thirsty Dog Baseball Cap | Thirsty Dog Brewing Co.
Our red, white & blue Thirsty Dog Baseball Cap has our logo embroidered on the front of the hat and “Unleash the Flavor” on the back. 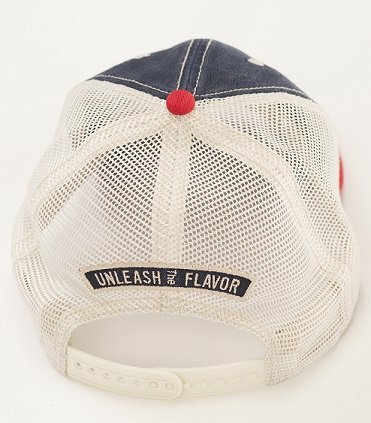 Off white colored threading throughout the hat and on the mesh back. 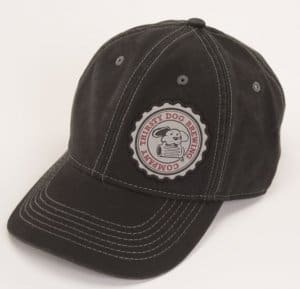 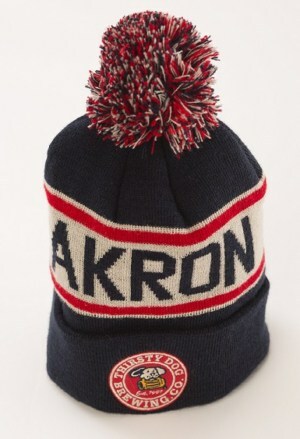 Made from 65% cotton and 35% polyester. 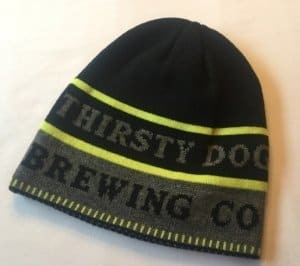 One size fits all with an adjustable snap strap.